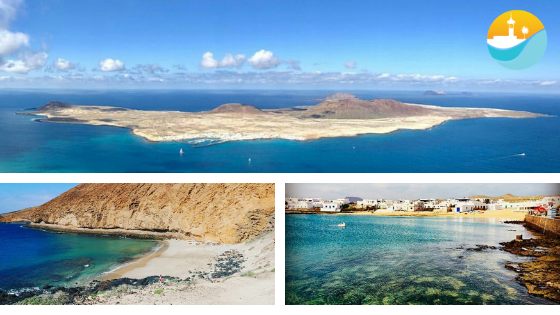 Lanzarote has a new little sister, La Graciosa, the most recent addition to the Canary Islands family. If you’ve visited each one of the seven islands in the Canaries, you can now add an eighth to your list! Boasting just 721 residents, no big roads and only 29 square kilometres in size. La Graciosa can now hold its own with Tenerife, Gran Canaria, Lanzarote, La Palma, El Hierro, Fuerteventura and La Gomera. This island is for special, sensitive travellers who know how to enjoy nature, silence and beauty. It is probably one of the few places in Europe where there are still no asphalt roads. It is the most unknown and the one that leads the serenity of the Canary Islands. 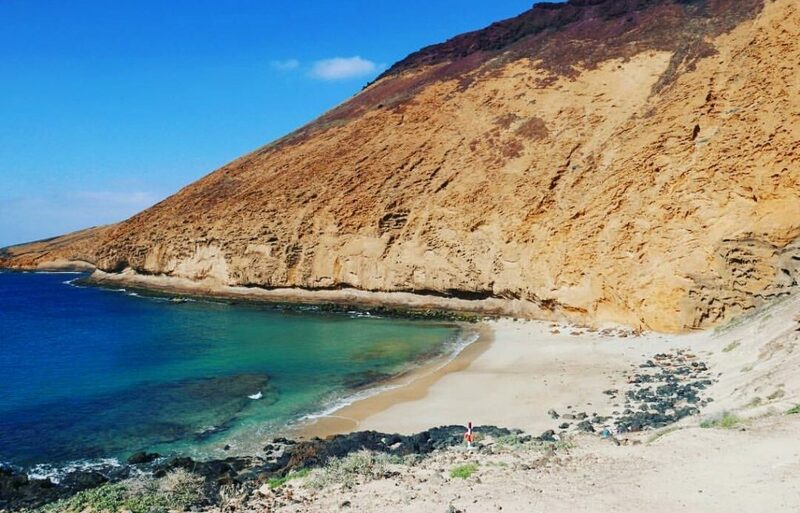 The real gems of La Graciosa are its incredibly empty beaches, such as Playa de las Conchas. It luscious white sands and crystal clear waters are ideal for relaxing and disconnecting. If you visit by boat, you’ll find a large area for anchoring too. Playa de El Salado is perhaps the best known, over a mile long and home to a campsite. Trails across the island are not paved and more like dirt tracks, best to be navigated by foot, rented bike or clapped-out jeep taxi, which are allowed on the island. 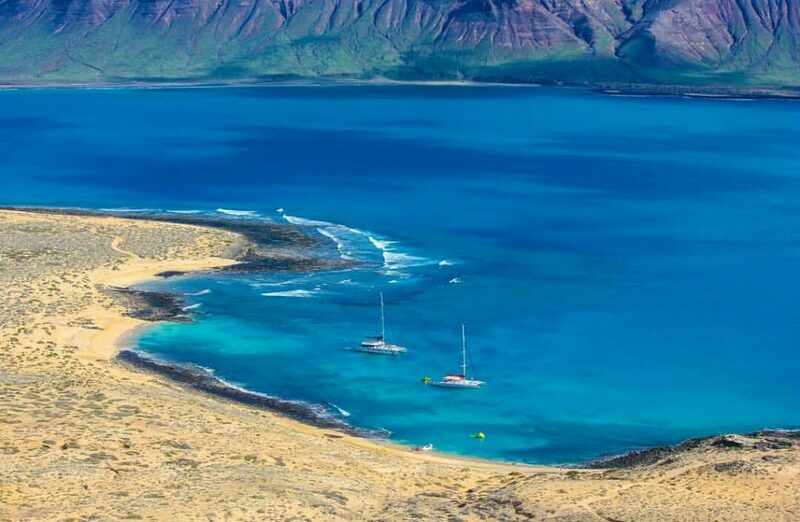 La Graciosa is home to the largest protected marine area in Europe. Thanks to the diversity of its sea fauna, its spectacular depths are home to unique beauty in all its diving spots, among which there are some suitable for all levels of diving experience. 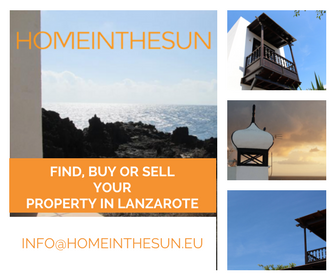 Of course you will not find an airport in the island, that´s why visitors must fly to neighbouring Lanzarote then take the half-hour ferry from Orzola. As part of the Chinijo Archipelago, a series of islands and islets much smaller than the main Canary Islands, La Graciosa has gained Unesco World Heritage status, thanks to the protected Parque Natural del Archipielago Chinijo, established in 1986 (Lanzarote is also included). The geopark helps preserve the environment of the flora and fauna of the islands, as well as birdlife, but was principally created thanks to the islands’ curious volcanic creation – built almost entirely of basaltic materials during three volcanic stages. Unesco says the region is “an authentic outdoor museum”. Hiking, trail running and cycling are all available across the arid isle. Because of its protected status, it’s best to stick to the paths. The Canary Islands tourist board highlights three routes, taking in craggy mountains, white sand beaches and hidden coves. The island’s circular route is 20 miles and best completed on a mountain bike. Keep an eye out for views of the island’s tallest peak, Las Agudas, which rises to 266 metres and is popular with hikers. Surfing and kiteboarding are also available. Though most visitors to the island are day-trippers, the best way to experience the solitary way of life is to be one of the few who stay for longer. 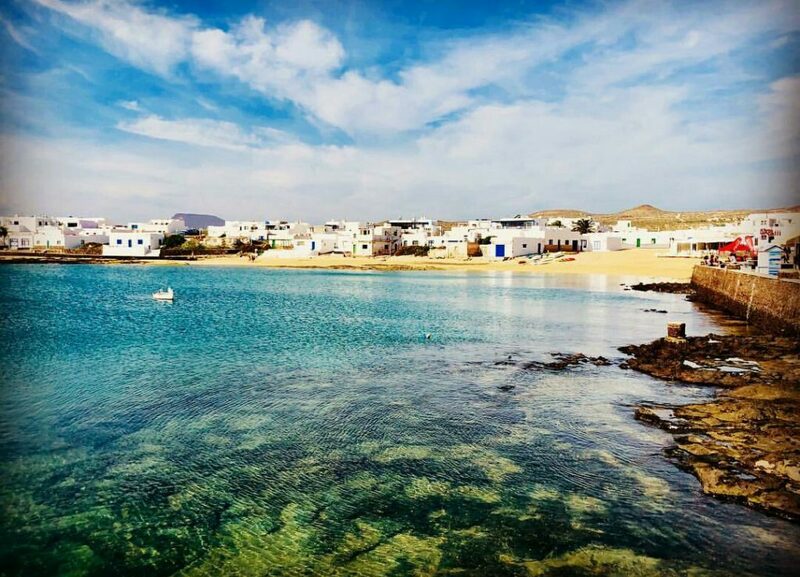 To do La Graciosa full justice and sink into a pleasantly vegetative state, a week in one of the basic pensions or apartments is definitely a must. 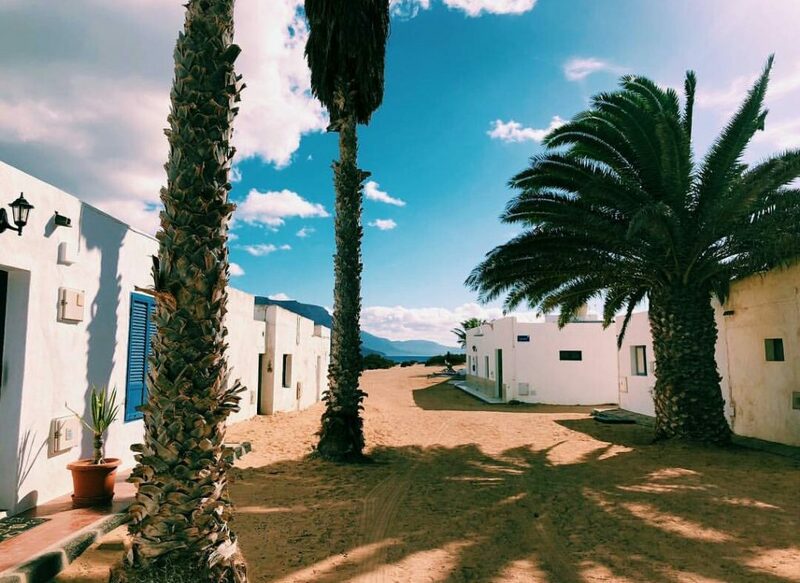 Caleta del Sebo is the settlement that greets you after a 25-minute boat ride from Orzola in Lanzarote. This motley collection of whitewashed houses is connected by streets of sand, and is home to most of the island’s. Camping is also available on Playa de El Salado.